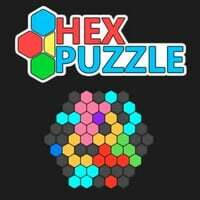 Play Hex Puzzle Online For FREE! - Try to earn as many points as possible in this addictive puzzle game! Drag the pieces made of hexagons onto the board. Once you make a full row, it will disappear from the field. Try removing several rows at once to earn bonus points. Can you achieve a high score?.